Two hotshot solo climbers forge an uneasy friendship in order to reach their ultimate summit. 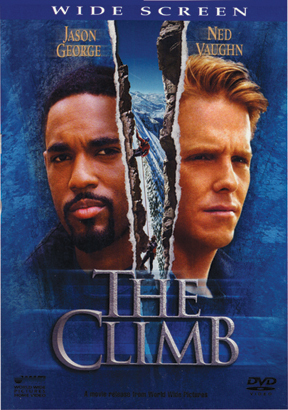 A daring rescue just earned flamboyant Derrick Williams (Jason George) the climb of a lifetime, but his dream comes with an unwanted partner. "Safety Man" Michael Harris (Ned Vaughn) doesn't hot dog, doesn°t blaze trails and rarely takes life to the edge. Training takes a back seat to their fire-and-ice relationship. But no amount of training can prepare this turbulent team for the harsh reality of the Chilean Andes. The Climb escalates into a test of wills, character and sacrifice that pushes both men beyond limits. Features Dabney Coleman, Clifton Davis, Todd Bridges, and Newcomer Kyli Santiago. Shot in the spectacular Wasatch Mountains, the stunning visuals, rich orchestral soundtrack and stellar cast propel this family-friendly movie into an unforgettable adventure experience.